Please visit our new home at EuroSpaAromatics.com and the blog's new home eurospaaromatics.com/blog. You can also shop for our products online in our shop or on Amazon with free Prime shipping for Amazon Prime members. Natural Fast Relief for Hip and Sciatica Pain is Finally Here. If you’ve ever suffered from hip or sciatica pain, you know that once it shows up, it’s a hard pain to tame. Every step hurts and even sleeping is painful. They say that relaxation is the number one way to overcome and get rid of pain. But how can you relax when you’re in so much pain? Tricky question, but I’ve got a real solution for you that’s natural, and works faster than you may belief. The first thing you want to do is to get in the most relaxing situation you can. Think beyond the pain and think about what relaxes you. Hot tubs? Baths? Saunas? Shoulder massage? Happy movies? Beautiful music? Next, eliminate stressors from your schedule for the next few days. Give yourself time and room to release the pain. Start there because a stressed mind, determined to solve a seemingly impossible problem will only stress the body further. Once you’ve created a more relaxing environment for yourself, it’s time to get proactive. Since sciatica may actually become worse with touch therapies, one way to effectively ease the pain is through the use of essential oils. This can be done through aromatherapy or by applying a mixture of essential oils with a carrier, such as almond, olive or jojoba oil to the painful area. Essential oils can also be used in a hot compress applied to the painful area. German Chamomile - German chamomile is a powerful anti-inflammatory. It also helps to stimulate the production of red blood cells. In addition to being known for its sedative properties, German chamomile also acts as an anti-spasmatic and analgesic (pain reliever). Cypress Oil – Cypress oil comes from the leaves (needles) and cones of the Mediterranean Cypress trees of Europe. It is used for stimulating blood circulation and is a powerful astringent. Like German chamomile and sweet marjoram it is also an anti-spasmatic and often used to relieve the cramps, sprains and strains of athletic injuries as well as the pain of rheumatoid arthritis. You can keep it simple by creating a spray from essential oils or by using Eurospa's Eucalyptus Oil Shower Spray in the steam of your shower, steam room or sauna. Steam is a great way to absorb the oils as it penetrates the pores and can travel internally via the respiratory system. Adding essential oils to your self care is a great way to support your body in it's own healing. At Eurospa, we're happy to be a part of the journey! Here’s the Secret to Naturally Healthy, Vibrant Hair! Whether you’ve suffered a bad cut or are just ready to have more flowing locks, it’s common to want long healthy hair as fast as possible! While there are no guaranteed paths to hair perfection, there are some tried and true home remedies that help move the job along. Keep in mind that if your hair is breaking, thinning or growing slower than average, other factors may be contributing to the process such as the weather, your age, what foods you eat, living habits and general overall health. That being said, there are still many natural ways to hurry along hair growth that are easy and great for your health! Use a mask: A lot of people believe that this tip concerning how to make your hair grow faster doesn't work well, but egg whites have been known for their healing properties and their ability to replenish hair and restore its softness and shine! Just crack open a few eggs, strain out the yolks, and make an egg white mask for your hair. Your hair will look ten times healthier instantly and will feel a lot stronger as well -- which, ultimately, will allow your hair to grow faster! Eat and drink well: Eat a diet high in Omega 3, 6 and 9 nutrients for not only healthy hair but also for better brain function, healthy bones and ligaments. This means your joints, your mind, teeth and nails benefit too! Find omegas in flax seed, salmon and in supplement form at any natural grocer. Water helps the body to process and flush out toxins faster, which makes it a quick and easy natural method that will make your hair grow a lot faster. If you drink about 8 cups of water a day, not only will your body feel better, but your hair will get stronger. The stronger the hair, the faster that it grows. Drinking water also keeps your hair hydrated from the inside out. Hydrated hair is happy hair because, when dry, your hair is much more likely to break. Stay away from heat! Try to stay away from blow dryers and heated tools, as they burn the hair. If you MUST use them, be sure to use a heat protecting spray or cream first, before styling. Keep in mind that the sun damages hair as well. In warm weather, or intense sunlight (even in the snow) keep a hat on to protect your hair from over drying and burning. Like pulling it back? Spend the next 2 months with your hair tied back to give it a damage break! Boost circulation: Get into a sauna, steam room or even your shower, one to two times a week and spray eucalyptus oil shower spray near your head, about arms length away; never onto the head directly. The circulation promoting plant oils will penetrate through your open pores, waking up the follicles. Add to this a gentle scalp massage and you'll have one happy head! Of course, in addition to all this, be sure to get your hair trimmed regularly so it has a chance to grow and be healthy without putting its energy into dead pieces. 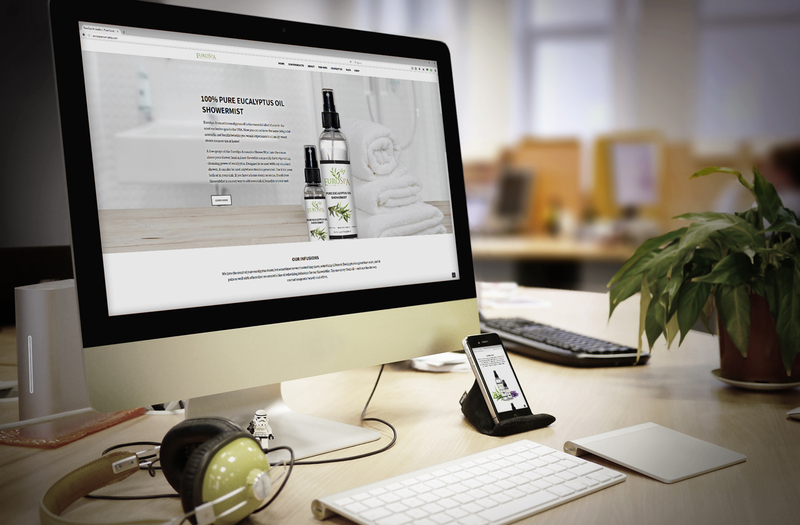 And of course, use only the best products along the way, including the use of essential oils. Eurospa is dedicated to your health inside and out. And health is definitely beautiful! We specialize in Eucalyptus products for both home spa and commercial use. Contact us today to see what we can do for you! Skip the Coffee Jitters and Use this Pick-Me-Up instead! 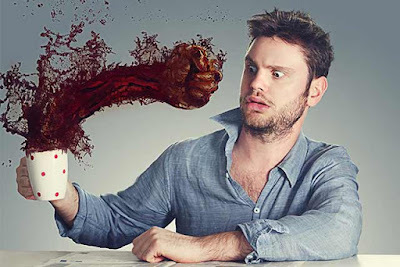 Coffee is an amazing pick me up but not when it gives you the jitters. You’re already tired, so if your burst of energy wakes you up, but causes you to feel horrible, what are you supposed to do? Well I want to share an alternative idea with you that won’t be the same as your normal hot cup of joe, but will definitely give you the pick me up you’re hunting for. Our solution? Eucalyptus oil. Not only does it have a long list of health benefits, including respiratory health, muscle pain relief, immune system support, but it also delivers an incredible increase of energy! One powerful reason that many people use eucalyptus oil is that it creates a cooling and refreshing effect. Eucalyptus oil is a natural stimulant that removes exhaustion and mental sluggishness and rejuvenates the spirits of the worn down. It can also be effective in the treatment of stress and mental disorders. Eucalyptus essential oil is also used to stimulate mental activity and increase blood flow to the brain, meaning that it’s a great solution for stimulating mental activity and alertness for foggy minds. It works by allowing more blood to circulate to the brain. As a result, eucalyptus essential oil is commonly used in classrooms as a form of causal aromatherapy to increase student performance. Further formal research still needs to be done to gain more global authority in this area, but all signs point to the positive correlation between brain function and eucalyptus essential oil. That’s all great, but how do we use it? Glad you asked! Many people use add the oil to baths, spas and saunas because of its refreshing and antiseptic attributes. That’s because so many of the benefits of eucalyptus essential oil can be accessed through the vapor, as well as topical application or ingestion. To keep it simple, we at Eurospa, have created a Eucalyptus Shower Spray for your happy and healthy convenience. The use of eucalyptus oil in healing practices is increasing in popularity worldwide, because of it's many benefits and uses. So if you’re tired and need to kick start your energy without feeling sick and jittery. You deserve a healthy solution. We've made that for you. If you're ready to enjoy the benefits for yourself, click here. At Eurospa, your health is our priority and we're honored to be a part of it! There’s nothing worse than feeling a migraine creep in. Whether you feel it in your eyes, your neck or all over, you know you’re in for a rough day. But before you reach for a whole bottle of pain pills, I want to tell you something important. Most commonly, headaches migraines are triggered or exacerbated by stress of the emotions or body, making relaxation an important part of headache treatment. So when the pain hits, ask yourself what might be causing your stress and ask if there’s something small or big you can do to eliminate it at least for the day. Usually, when we are stressed, our muscles tighten, causing our nerves to spasm. And the most common areas that this happens is at the temples, all around the base of the skull, around the ears and under the jaw. So get in a relaxed seated position and feel what area feels the tightest and gently stretch and massage those areas. Do make sure to focus some good attention to the joint of your jaw; massage downward as you open and close your mouth. Then be sure to hook your finger just under the edges of your jaw and apply pressure. Does it feel tight and sore? Apply the pressure (not too hard) until you feel it’s beginning to relax and then move to the next spot. From the jaw, rub your fingers downward along the front/sides of your neck, all the way down to the collar bone. Rub along the top and bottom of your collar bone as well. When you picture all of this, you see how interconnected all the muscles are. In our daily lives we spend so much time at computers and on our phones that our muscles tighten in those positions. 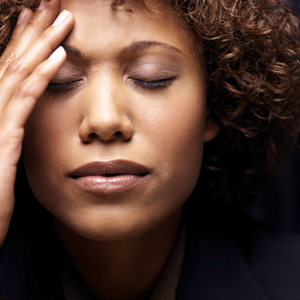 Add stress and muscle tightening to the equation and you end up with the dreaded migraine. Now do the stretches and massage and take it further by adding heat and aromatherapy. For many generations, aromatherapy has been used to relieve stress and pain for pain, and is quite safe, provided you use them as directed. The best way to enjoy the benefits of Eucalyptus for headaches, migraines and muscle tension is through steam - using our eucalyptus oil shower spray in both a shower or steam room. You'll quickly feel the pressure lighten and your body relax. Try the massage I told you about, while in the shower or steam room and see how quickly you find relief! Other oils that can provide headache relief are Lavender, Rosemary and Peppermint. Here’s a little information on each of those. Peppermint is a cross between watermint and spearmint plants, and it grows wild in Europe and North America. Peppermint oil is used in aromatherapy for headache as well as muscle and nerve pain. This essential oil can be inhaled, applied to the skin after being diluted with another oil, or taken by mouth in very small doses. Some pain studies show that peppermint oil used as aromatherapy for headache may allow people to use fewer traditional pain medications. If you deal with headaches or migraines, we don't envy you. But we do want to provide you with relief. Use the techniques taught to you today and support your health with the highest quality essential oils possible. Visit Eurospa today to learn more about our Eucalyptus based products. Speed Up Hair Growth With These Little Known Natural Tips! Long hair is a coveted feature by so many women and there’s nothing more frustrating when trying to grow it out, to see it stop growing all together. Talk about practicing patience! But be relieved, there are a few lesser known, natural ways to have the long and beautiful tresses you’ve been wanting so badly, with far less of the wait. Keep in mind, that genetics, diet, stress level and hormones often play a big role in how much or if your hair grows. So if your hair used was growing well and suddenly it stops, it’s best to look at the possible affecting factors! But if your genetics aren’t holding you back, you haven’t been stressed, you’ve been eating well and your hormones are happy and balanced, you won’t want to miss out on these helpful and natural tips! Keep it trimmed. Clean up the ends of your hair 1/4 inch every 6-8 weeks. It will clean the damaged ends off, allowing the shaft to continue growing out rather than in many damaged directions. Scalp Massages. Just heat up a hot oil treatment, rub it into your scalp, wait a little while, and you'll see the difference -- your hair will feel thicker, softer, and longer! While you can always use a store-bought treatment, homemade hot oil treatments work just as well. Jojoba oil, coconut oil, olive oils, and most other oils you like will do wonders; just heat it up and apply thoroughly. Make a Protein Mask. A lot of people believe that this tip concerning how to make your hair grow faster doesn't work well, but egg whites have been known for their healing properties and their ability to replenish hair and restore its softness and shine! Just crack open a few eggs, strain out the yolks, and make an egg white mask for your hair. Your hair will look ten times healthier instantly and will feel a lot stronger as well -- which, ultimately, will allow your hair to grow faster! Stay Hydrated. Possibly one of the most helpful but neglected tips out there. Water helps the body to process and flush out toxins faster, which makes it a quick and easy natural method that will make your hair grow a lot faster. If you drink about 8 cups of water a day, not only will your body feel better, but your hair will get stronger. The stronger the hair, the faster that it grows. Drinking water also keeps your hair hydrated from the inside out. Hydrated hair is happy hair because, when dry, your hair is much more likely to break. Heat Protect. Try to stay away from blow dryers and heated tools, as they burn the hair. If you MUST use them, be sure to use a heat protecting spray or creme first, before styling. Keep in mind that the sun damages hair as well. In warm weather, or intense sunlight (even in the snow) keep a hat on to protect your hair from over drying and burning. Eat Fats and Proteins. The old low fat diets are actually quite counter productive to your health and hair growth. Did you know that what you eat actually makes a difference in how fast your hair grows? If you eat a lot of good fats and protein-rich foods, you will see a huge difference in the quality of your hair, as well as the speed with which it grows. Things like fish, eggs, fresh fruits and vegetables, and even different meats all make a difference, so cut down on junk food and focus on heal meals. Eucalyptus Spray. Get into a sauna, steam room or even your shower, one to two times a week and spray eucalyptus oil shower spray near your head, about arms length away; never onto the head directly. The circulation promoting plant oils will penetrate through your open pores, waking up the follicles. Add to this a gentle scalp massage and you'll have one happy head! You can also make a topical essential oil blend. I suggest mixing three drops of lavender oil, three drops of rosemary oil, and two drops each of thyme oil and cedarwood oil, along with some jojoba oil. All of this should go right onto your head and, I promise, the mixture will enhance your hair and make it grow that much faster! Use these tips and tell us how they work for you! Healthy is beautiful and Eurospa is dedicated to yours. We specialize in Eucalyptus products for both home spa and commercial use. Contact us today to see what we can do for you!